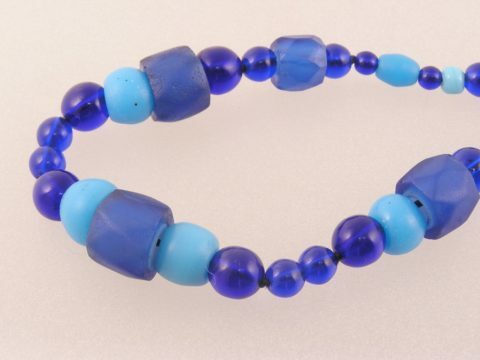 Captain Meriwether Lewis had this to say about Padre beads and the Indians tribes along the Columbia River…only the blue and white beads were acceptable, the most desired, are the common cheap, blue beads…. 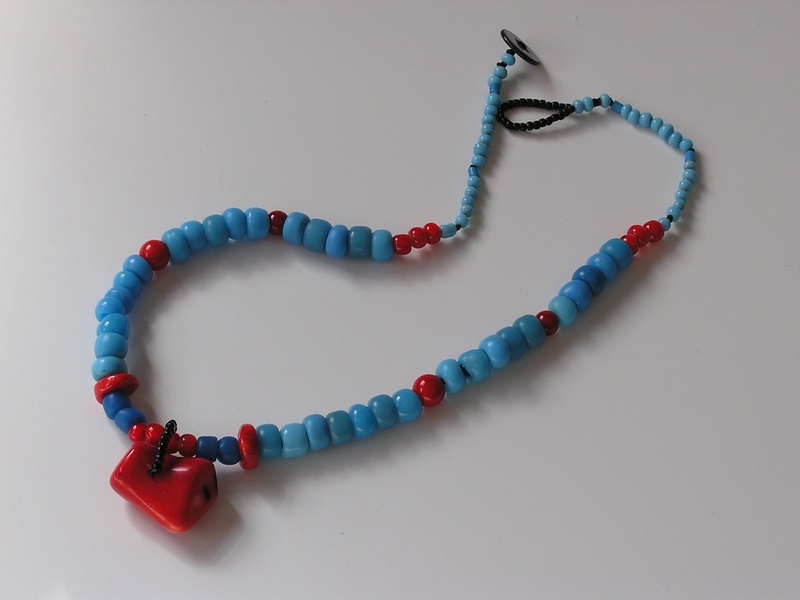 Padre Beads were made in a variety of colors, but blue and white were the most sought after by the Northwest Indians.”(3) They were long in demand in Alaska. American skippers also brought them as they sold Russian fur to China and Chinese goods to the Russians in Alaska because the Russians were barred from Chinese ports. 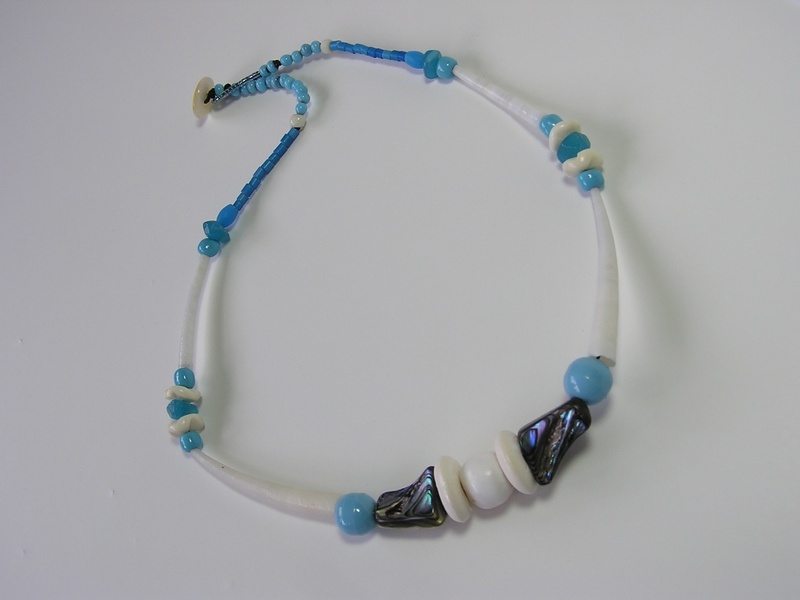 The beads quickly moved south and east in North America traded by the Indians to each other. Captain Cook was amazed to see them in an area he knew the Russians had not yet reached. The making and selling of these Padre beads is so universal that the bead takes on an amazing history. I’ve been totally made dizzy by the research on Padres. The Venetians seem to be possibly the earliest makers having the beads distributed by Spanish Explorers, English and Dutch Seafarers. Then the beads were introduced to Chinese glass makers who made, sold and traded them to Vitus Bering and the Russians. 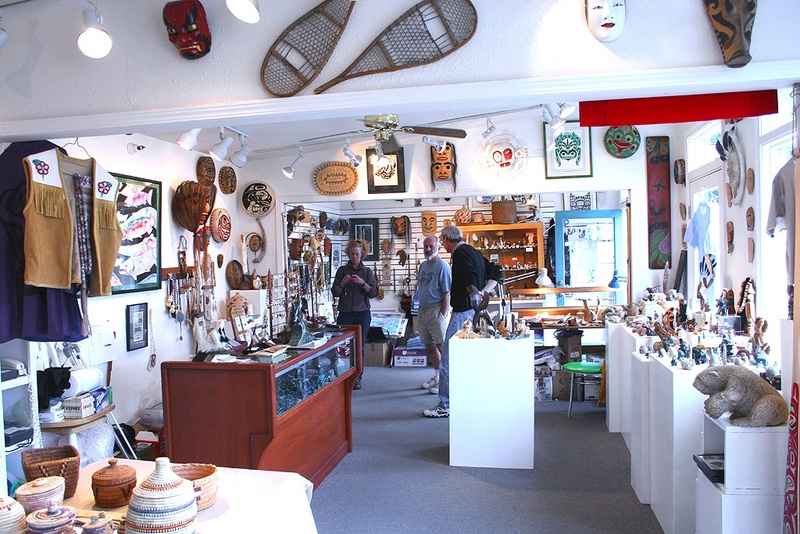 The Russian Fur Traders used them in trade with the NW Native Indians. Glass blowers and perhaps master glass craftsmen accompanied Viceroy Mendoza to New Spain in 1535. By 1542 the glass industry established in the state of Puebla was unique in all New Spain. It is possible the white, blue and green opaque glass beads were products of this industry in New Spain and not just traded to Mexico and brought up into SW America by missionaries. The Padre beads are made of different types of glass in various places. Glass is basically Silica and Potash. The Venetian glass had up to twenty percent lead, colored by copper compounds. Some Chinese glass had no lead and other Chinese glass had a small amount of lead. This has been determined by modern spectrograph analysis of excavated beads. So you can see just how dizzy I’ve become jumping from continent to continent on the trade bead route! So basically the Padre is the cool kid in the school. He’s so popular that he has been given many different names. How neat! Great information. I love my Padre necklace. I love all the different colors, pockmarks, dents and history that are in those beads. 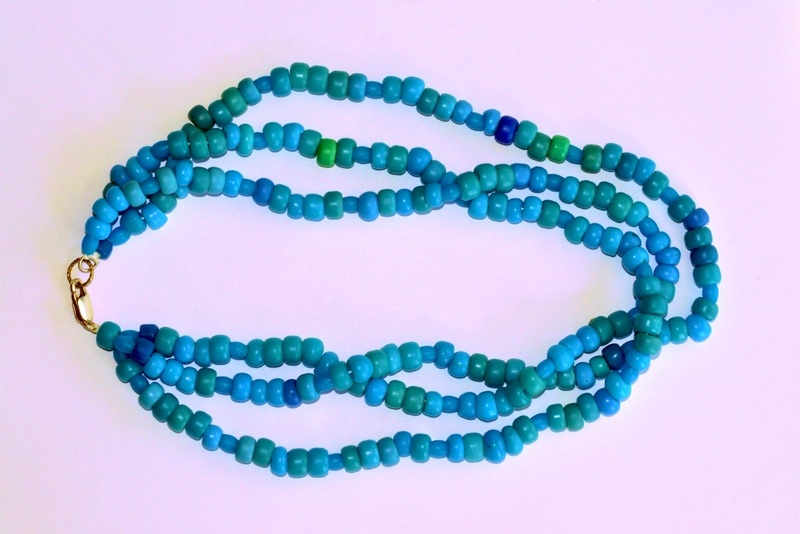 Ubiquitous is truly the right word as we have found that these beads were made everywhere they made beads and traded to the furthermost corner of the world! I posted the earliest version of this Padre adventure that I had researched and so this one left out the important part that the Dutch played with Padres. There is evidence that Italian glass workers were brought to the Netherlands around 1597. And a fellow named Obizzo was given permission to build a glass factory in Amersterdam. 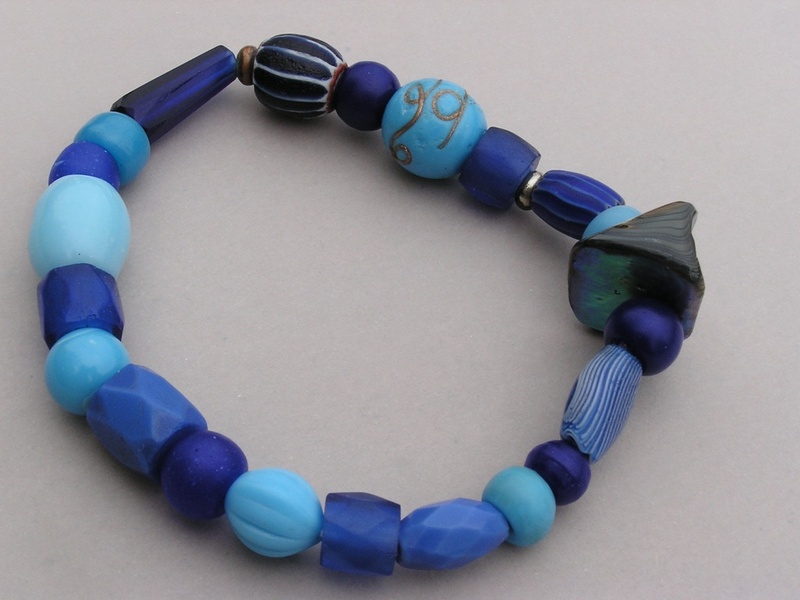 The Dutch loved that blue glass and the darkest “Padres”, mandrel wound blue beads, came from there. Also a glass factory managed by Jan Soop in 1601 made many beads and the bead industry really blossomed from this point. There was such a demand in the world that it was a very lucrative business and those Dutch Traders were masters at seafaring. I’ve been researching the history of a cobalt blue padre bead found on the beach of an abandoned Indian village off of Vancouver island BC. Would it be possible that Captain James Cook was the source?